How to Advertise your business on Facebook? The first thing you need to decide when you choose to do Facebook Advertising is your audience. Who are you trying to sell your product or service? Once you decide this you need to go through and target those specific people. This will allow you to not throw money away by advertising to a demographic that has no interest in your product or service. If you don’t know your demographic then you need a Facebook Advertising specialist. Here at UltraWeb, we are Facebook Advertising Specialist. Our customers see incredible results on their expertly targeted campaigns that connect them to customers that they otherwise would have never been able to target. Well, there is no exact answer to this question, but Facebook advertising is great because the lowest you can go is $1 a day. 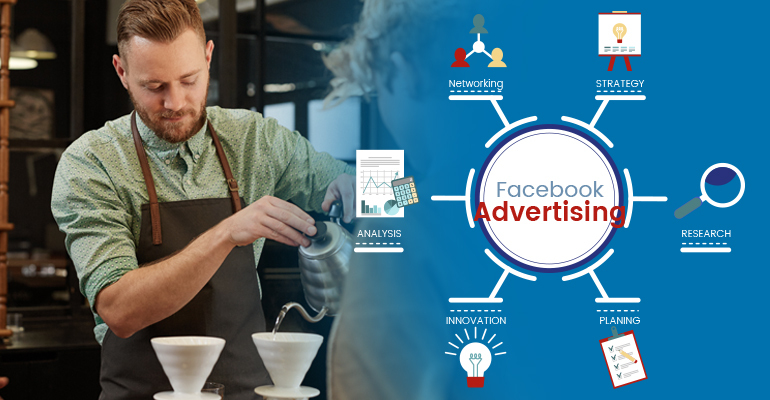 Considering that even the smallest of businesses can afford that minimum it means that Facebook Advertising is open to anyone. Even though your ad won’t be viewed by tens of thousands of potential customers with a dollar a day you’ll be able to get in front of an average of 50-100 customers a day and if your ad is designed correctly that should be able to yield about 10-15 clicks a month. So considering that you’ll pay about 30 bucks to get an average of 10-15 people to come to your site and if 5-8 of them convert then your ROI (Return on Investment) is extremely positive. Well, that’s a weird question to answer. Let’s take for example a violin. Let’s say I buy a violin (and I have zero experience) and go into the street to start playing to try and get money. It is extremely likely that at the end of the day I’ll have nothing inside of my hat and I might even get some tomatoes thrown at me meaning that my ROI is none or even negative. Now if an experienced violin player does the same thing, he might end the day with $100, Making his ROI extremely positive. Facebook is the exact same thing. If you have zero experience with Facebook Marketing and try to set it up and set your demographic and then a month later try to read the data and can’t understand what anything is. Then you’ll most likely have a negative experience with Facebook Advertising. But if you hire a professional like UltraWeb Marketing then I’m sure your experience will be very different. We have a social media specialist that runs in numerous Facebook Campaigns all with positive ROIs! Call UltraWeb Marketing today and we’ll help you with setting up Facebook advertising for your business today!